Learn from these mistakes and save yourself hundreds of thousands of dollars. It’s a great question and one that I’ve received in various forms from dozens of readers and viewers. I actually sat down and tried to come up with a list of the most common problems to try to address in a video or series of videos. When I was done though, I had over 20 items. I knew that I couldn’t cover them all in one video. 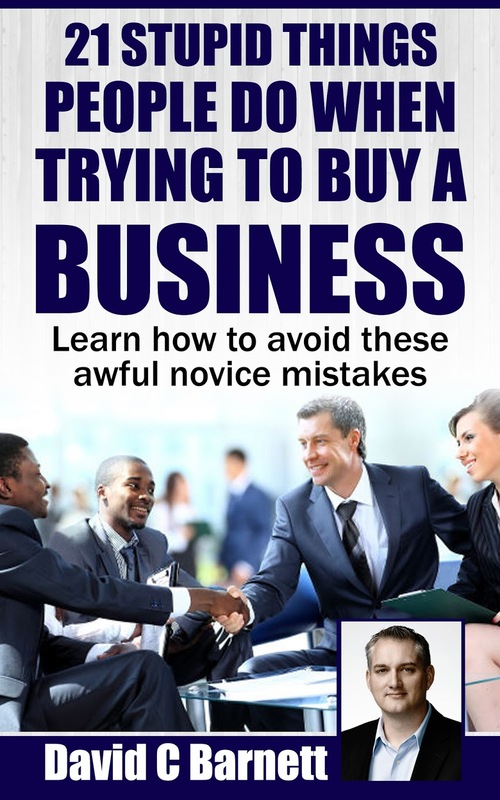 It’s called 21 Stupid Things People Do When Trying to Buy a Business. Also, it’s not free, but the price is very low. That’s because the information is actually very valuable and I only want to share it with people who are serious about taking the right precautions when embarking on a project as complex as buying an existing business. Here’s a quick list of some of the stupid things that buyers do which I cover in the report. This gives you a snapshot of the everyday problems I see when helping buyers work on their deals. Unfortunately, I get called in to help people sometimes after the deal is done and have to show them where they went wrong and how they may be able to get things back on track. 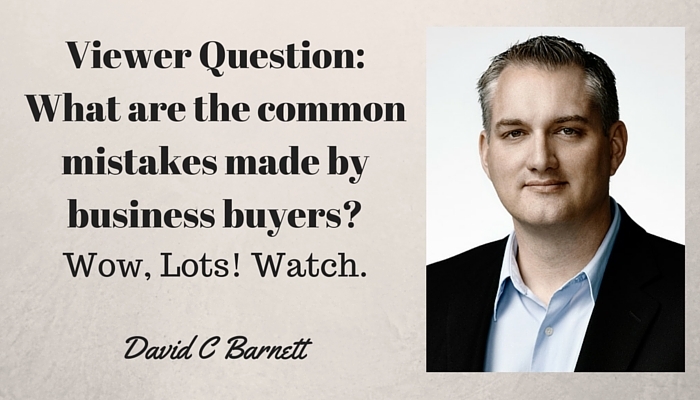 Usually, it means that the buyers have already wasted tons of money. 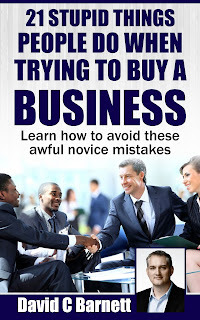 If you want to learn the full three-step process of how I help people buy businesses (it starts with education) then you should visit www.BusinessBuyerAdvantage.com. Thanks and we’ll see you next time. If you found this video/article useful please like it and share it. It helps move the video up on search ranks so that other people like yourself that are looking for this kind of information can find it easily. Thanks guys, I’ll talk to you soon.